* Location : In Kuching only. 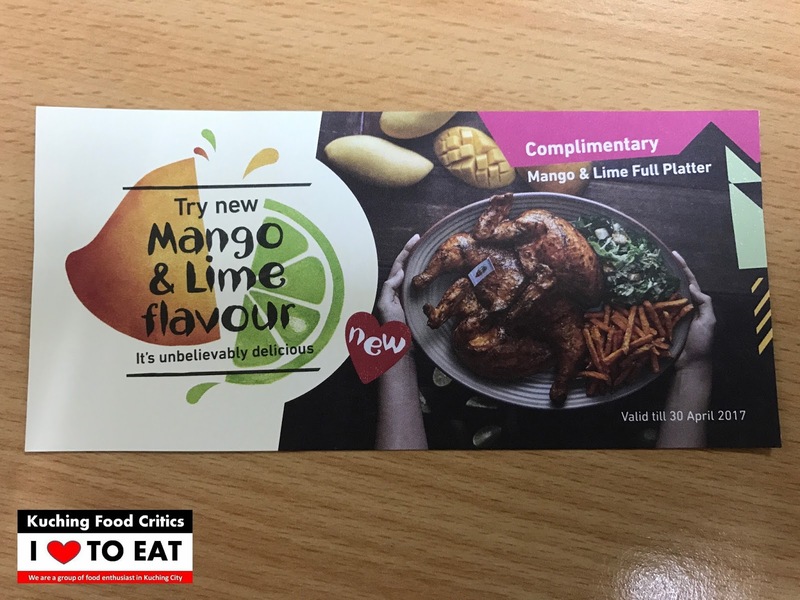 - Nando's Malaysia & Pizza Hut Malaysia. - NOPE ! We dont bother. What we want is your participation in this event and Win Food Vouchers for your Precious Stomach ! (a) Admins of Kuching Food Critics will hide the Treasure (Food Vouchers) at any Kuching Symbolic Statue/Place. 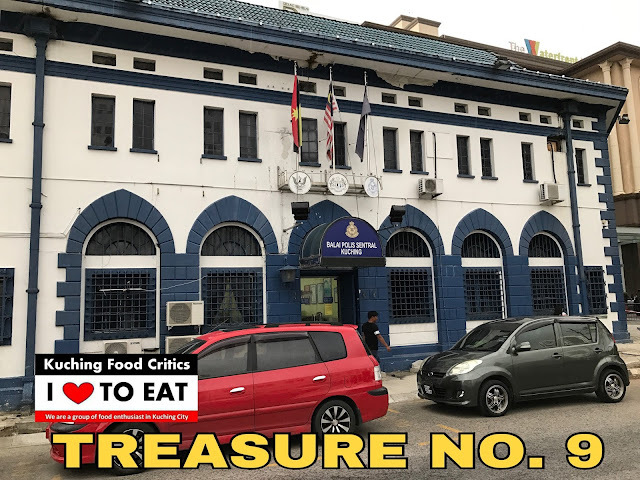 (b) After we hid the Treasures, Admins of Kuching Food Critics will take photo of the place/statue. (d) We will upload the Photos & Hints in our Kuching Food Critics Facebook Group or Page or Website. 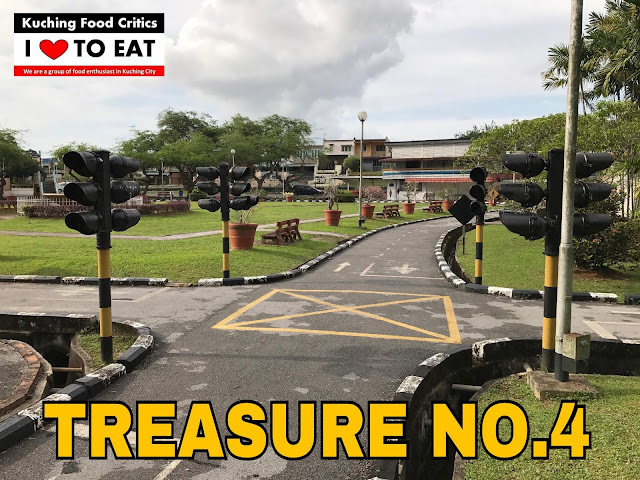 (e) Participants will need to figure out the answers and need to rush to the place immediately to find the hidden the treasure. 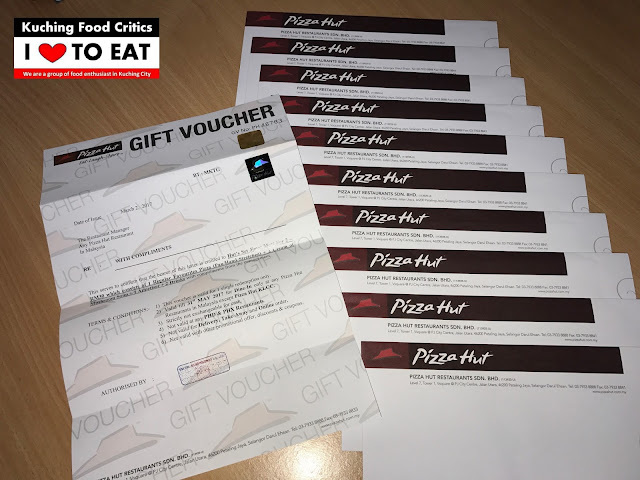 (f) Whoever grab the Food Treasure First will WIN the Food Voucher from NANDOS & PIZZA HUT. 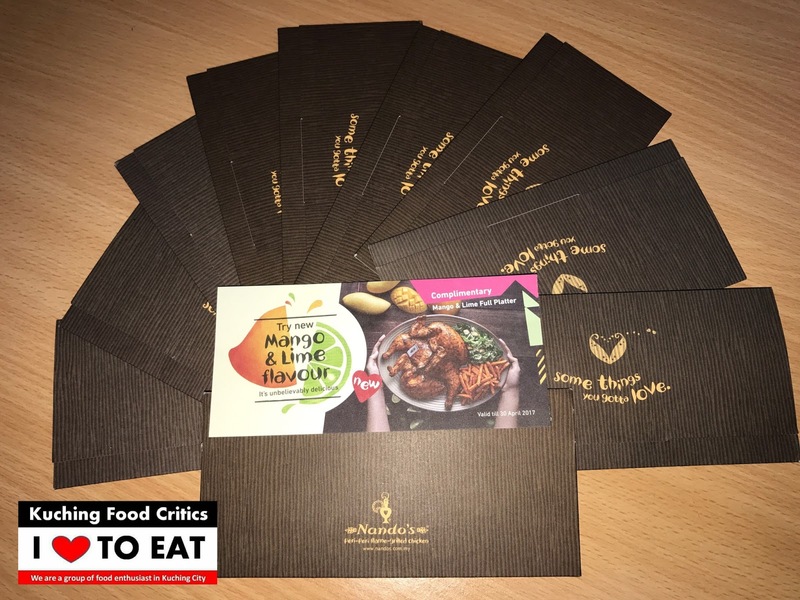 (1) Anyone who is a member of Kuching Food Critics in Facebook is eligible to join this contest. 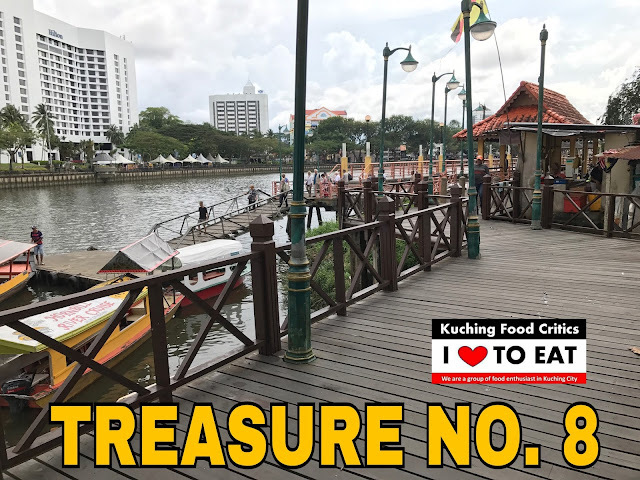 (2) The Organizer, Admins & Sponsors of Kuching Food Critics Treasure Hunt 2017 will not be responsible or held liable to any Lost, Death, Accidents, Injuries or Costs occurred. (3) Only 1 Winner per 1 Treasure found. Who grab the Treasure first will WIN the Prize. 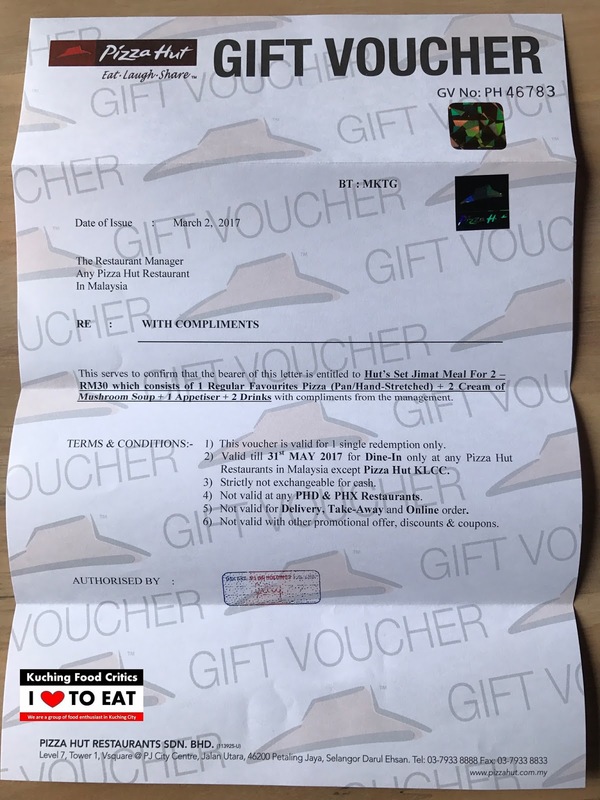 (4) Participants can Find-Grab-Win as many Prizes as you can. (5) Prizes is Food Vouchers which is fully sponsored by Pizza Hut Malaysia & Nando's Malaysia and cannot be exchange with cash. 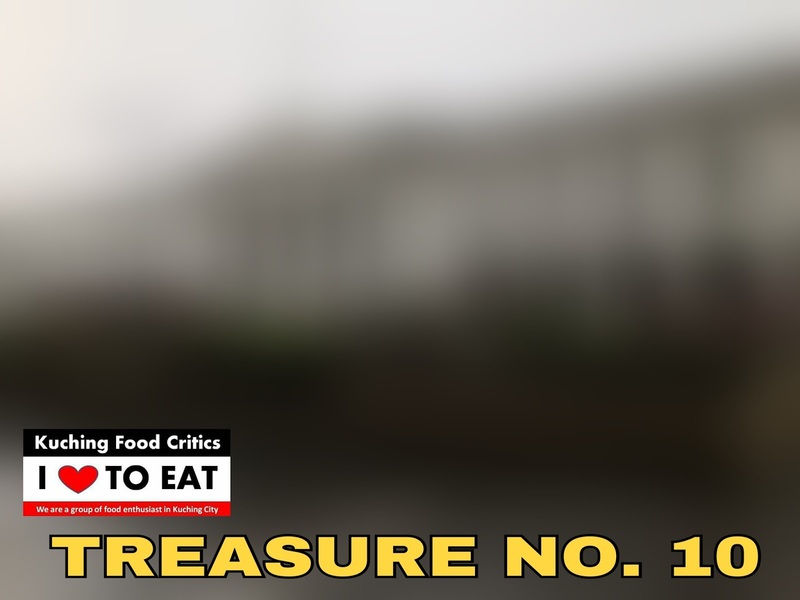 Find the Treasure No.1 at this place NOW and be the 1st one to Grab it ! Whoever can grab it first will WIN the Treasure No.1. Wooohoooo.... Good Luck you ! Hehehehehe..... You know where is this ! The Treasure No.2 is hidden at any place as shown in this photo. GO ! GO ! Goooooo ! 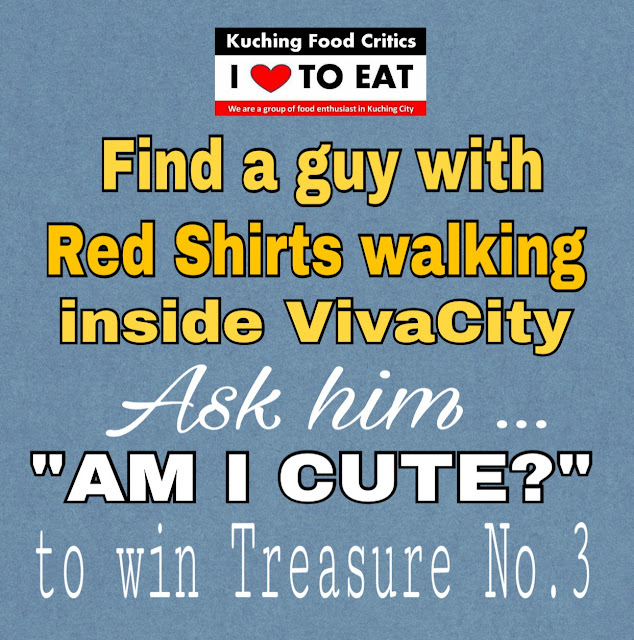 Find a guy with Red Shirts walking inside VivaCity. Ask him "AM I CUTE?" 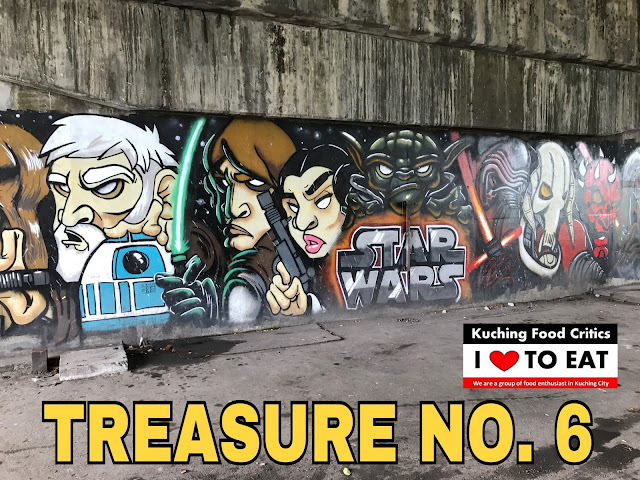 to win the Treasure No.3 ! Yesss ! This is the guys you all have to find..
Congratulations to Mr. Ting & Family. Good Techniques using your Kids to ask around.. They are indeed cute ! 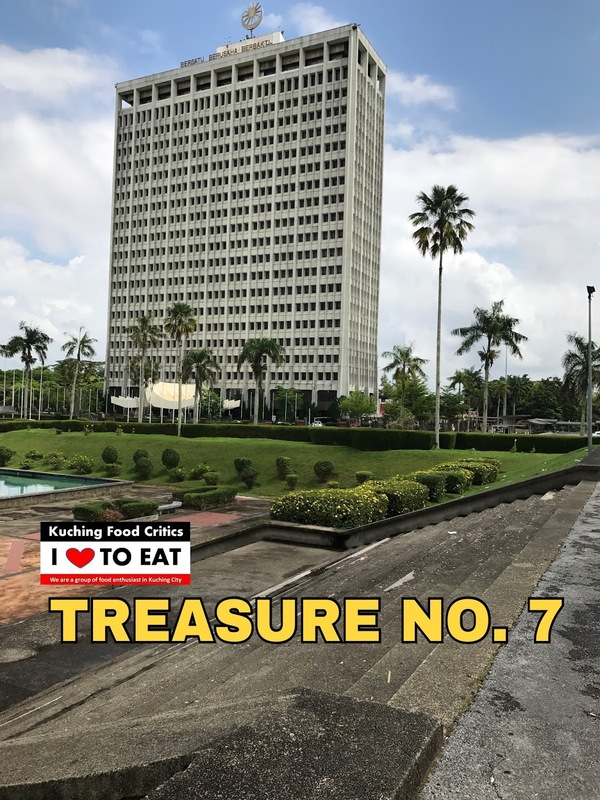 Find the Treasure No.4 at this place NOW !! 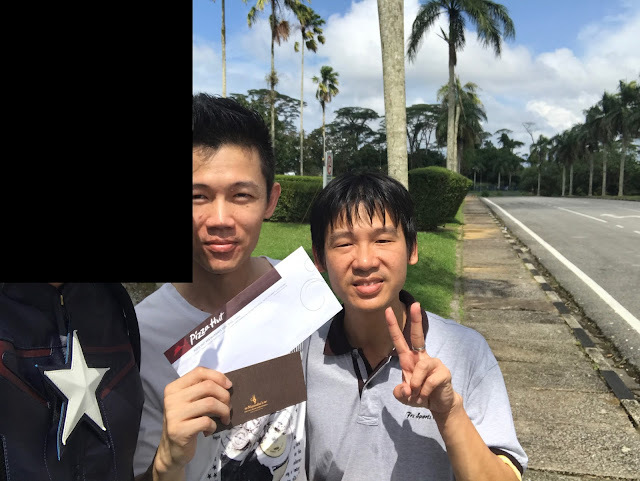 Once you found it, Take a Selfie together with the Treasure Ticket and post it in our Facebook Group ! 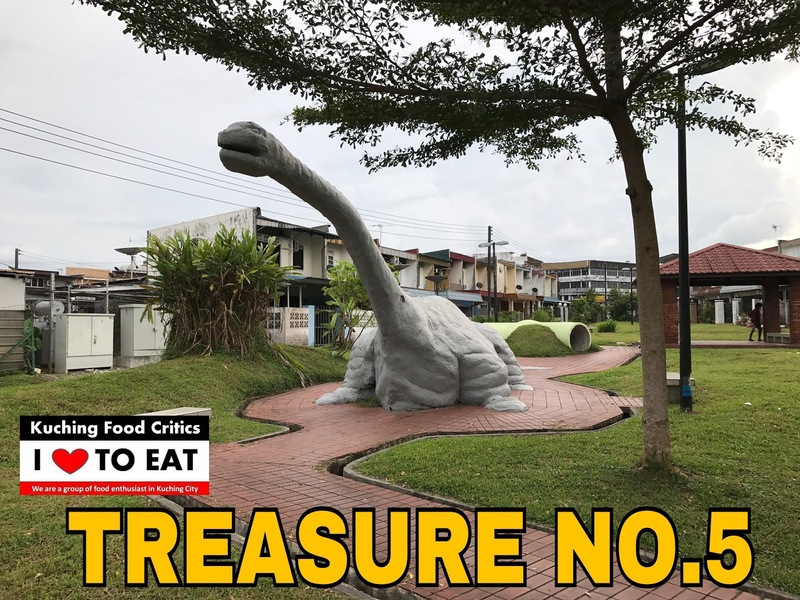 Find the Treasure No.5 here at Kuching Jurassic Park NOW !! 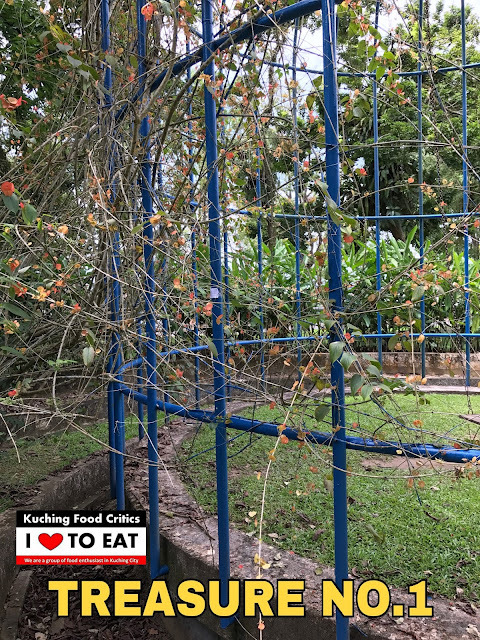 Place Hidden : Dinosaur Park @ Kenyalang Park. Congratulations to Mr. Kuifan again for winning our Treasure No. 5. 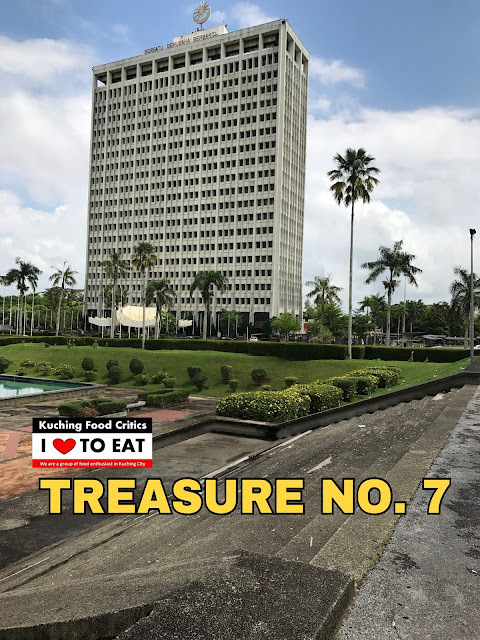 Find the Treasure No.6 at this place Nowwww ! Place Hidden : Below Satok Bridge. FIND & STOP one Superhero at this area.. STOP only ahhh... Dont Kill him k ! Hahahaha.... Good Luck ! Place Hidden : Wisma Bapa Malaysia, Kuching. Participants is finding the Superhero..
Congratulations to Mr. Loon Tung and his Brother. Such a nice scenery here.. Come Now ! Good Luck ! Participants is using Sampan to cross over. Go ! Go ! Go ! Participants reached opposite Jetty to find the Treasure. Yessss... Keep finding yo ! Such a very old & historical building in Kuching. 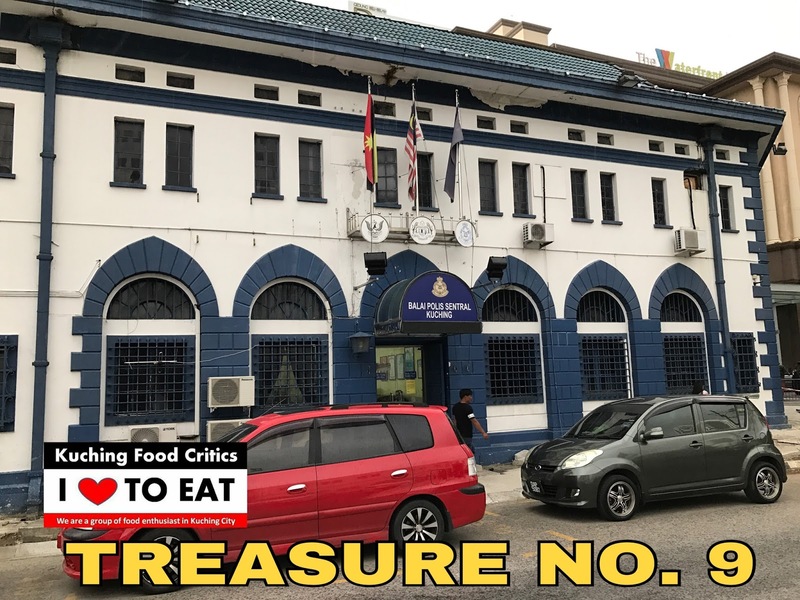 Don't find the Treasure till masuk lokap k.. Hahahaha ! Wowww.. Congratulations to this Brothers again for winning the Treasure No. 9. 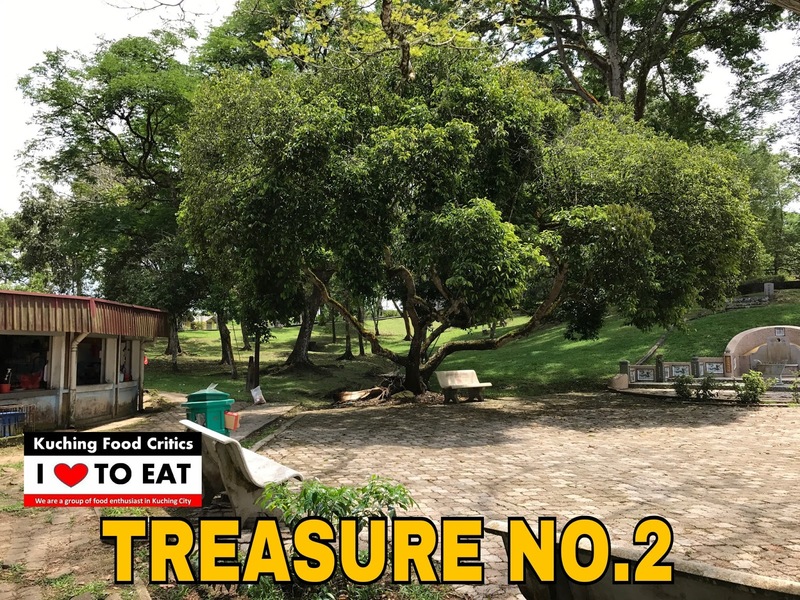 They have WON 2 Treasures already. Ohhh maii Gad !! My eyes is blur... I wonder where is this... Hmmm ! Place Hidden : Post Office HQ at Carpenter Street.